WESTBROOK — It’s been close to five years since Matthew Rairdon, a Saint Joseph’s College graduate and a Mercy Hospital emergency room nurse, was fatally shot by his ex-boyfriend at his Main Street apartment. In the wake of their 22-year-old son’s death, Laurie and Gary Rairdon, along with their family, chose to put their “energy into something positive” rather than dwell on the negativity of his murder. That resulted in Westbrook Strong 5K, an annual road race to raise money for the nursing program their son graduated from. This year’s race was held July 14. Since the inaugural race in 2014, the race and associated T-shirt sales has raised more than $90,000 for an endowment for scholarships for students studying nursing at Saint Joseph’s in Standish. To date, four students have been awarded $6,000 in scholarships, Gary Rairdon said. Another $2,000 scholarship is expected to be awarded this year. The students, he said, are chosen by the faculty. The Matthew Rairdon ’13 Memorial Scholarship “is reserved for a sophomore, junior, or senior nursing student from Westbrook or Greater Portland or the State of Maine who has attained a 3.0 GPA or higher and demonstrates the character and gifts that Matthew displayed: compassion for others, passion for the nursing profession, and a strong work ethic,” the college says. The college selects the recipients. “It is for students who are already established in the program because the nursing program is so difficult that a lot of first-year students don’t make it,” Laurie Rairdon said. She said her son first became interested in nursing when he was 16, after spending two weeks in the Barbara Bush Children’s Hospital after developing osteomyelitis, a rare bone infection in his back. The Rairdons’ endowment goes a long way in helping to meet the financial need of nursing students, said Saint Joseph’s College Director of Corporate and Foundation Relations Elizabeth Schran. “These kind of tragedies that happen to our alumni touch us very keenly and it has really been a pleasure to work with (the Rairdon family) as they put their energy into creating scholarships for people like Matthew who are from Maine and who want to pursue a nursing degree, but have financial need,” Schran said. The Rairdons’ effort is also helping to keep students in the nursing program, the college’s largest academic offering. That’s vital, Schran said, because Maine is facing a “huge nursing crisis” with professional nurses retiring at a fast rate and a lack of new nurses to replace them. The hope is the endowment will last long after the annual races subside. “We want to get the endowment as high as we can so the money will be there long after we don’t do the race anymore,” Gary Rairdon said. The goal, he said, would be to award two $2,500 scholarships a year. 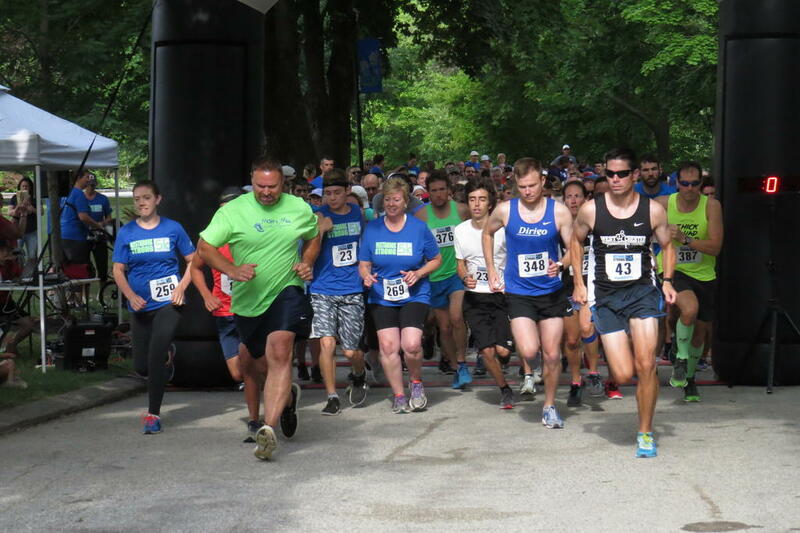 This year’s 5K and .4-mile fun run attracted more than 400 participants, including runners from Connecticut, New Hampshire, Massachusetts, Pennsylvania and Vermont, as well as throughout Maine. Rairdon said donations are still coming in, and anticipates raising enough money to bring the endowment to $107,000 to $108,000. This year, the first 300 participants who signed up received a small First Aid kit when the logos of Saint Joseph’s College and Westbrook Strong and each runner 21 and over received two pint glass and a free beer from Mast Landing Brewing, which hosted a post-race party. The idea for the race, which is now certified by USA Track and Field, began just after Matthew’s death as the brainchild of Donna LeClair, a Rairdon family friend, and Lisa Petrucelli, who runs the Train Your Inner Athlete program at the Westbrook Community Center. From there the event took off and community members have supported it by running in it, volunteering or sponsoring. Gary Rairdon said this year’s event had so many sponsors that the back of the race shirt, where sponsors’ names are listed, had to be redesigned. “It’s so overwhelming we are still surrounded by such a wonderful community who help us support the cause,” she said. Gary Rairdon said through the years, he and his family have heard countless stories about Matthew, providing glimpses into his son’s life he may not have heard otherwise. “It is amazing how many people Matthew touched in the short life he had,” he said. Patrick Milliner, 30, of South Portland fatally shot himself after killing Matthrew Rairdon on Nov. 30, 2013. Gary Rairdon and his wife Laurie, lead runners out of the starting gate for this year’s Westbrook Strong 5K road race last week. The race is held every year in memory of Matthew Rairdon, a 2009 Westbrook High School graduate, who was killed in 2013. 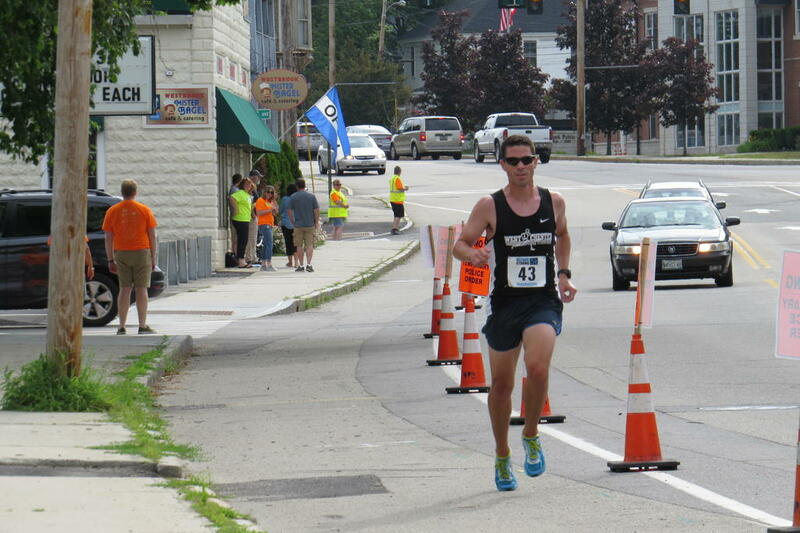 Scott Burns, of Westchester, Pennsylvania, who won this year’s Westbrook Strong 5K with a time of 16:57, hits the final corner of the 3.1-mile road race. 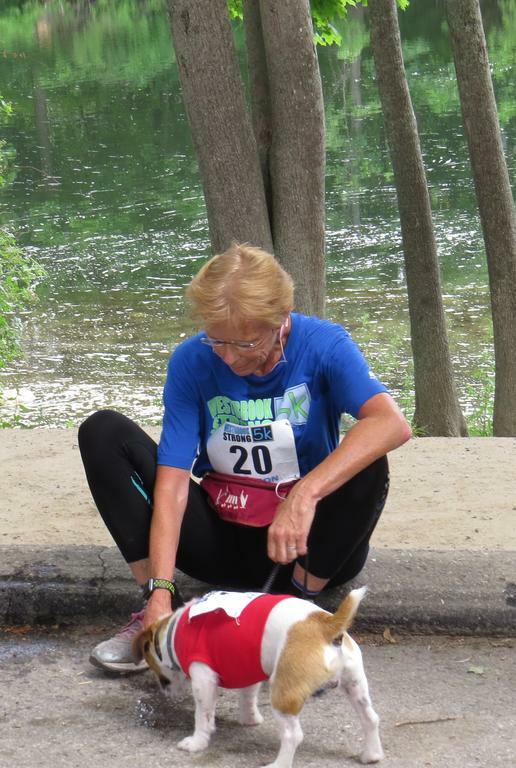 Robyn Beeler-Nichols gives her dog, Hiker, some water after the duo completed the Westbrook Strong 5K Saturday, July 14. 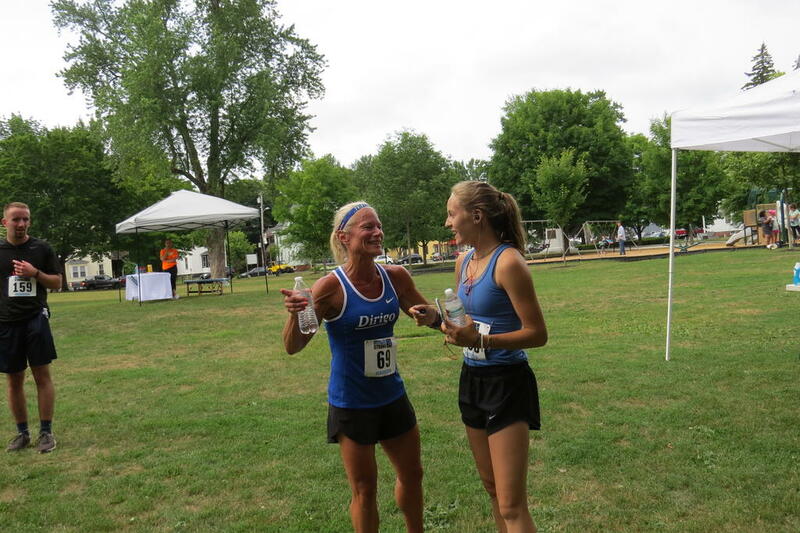 Windham High School girls’ indoor track coach Denise Curry, left, congratulates Abigail Clinch, one of her runners, as she finishes the Westbrook Strong 5K, which started and ended in Riverbank Park. Curry completed the course in 20:44 and Clinch in 24:17. 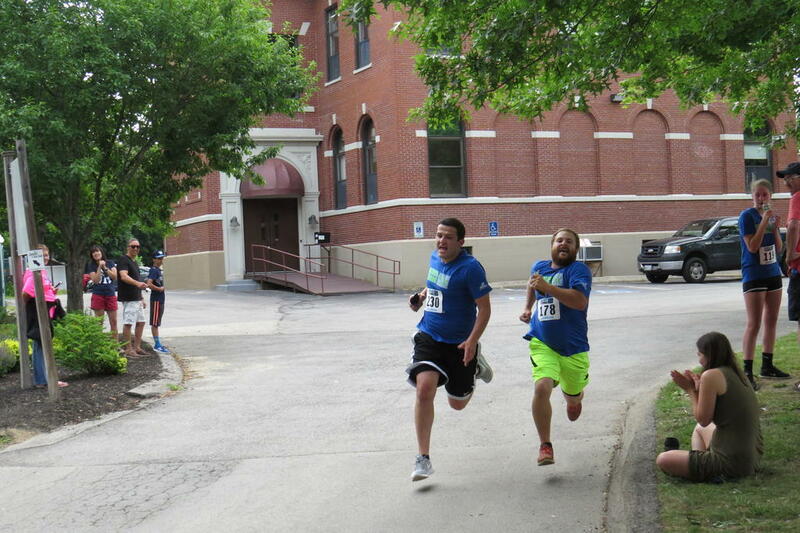 With the finish line in sight, Westbrook residents Matthew Nutter (230) and Heath LeClair (178) give it one last sprint in this year’s Westbrook Strong 5K. Nutter beat LeClair by less than half a second. 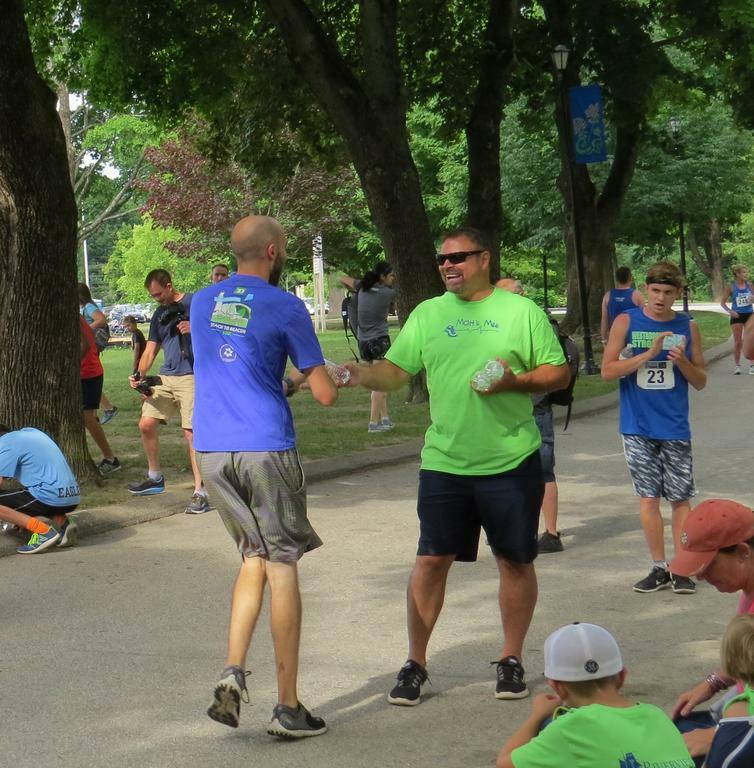 Gary Rairdon hands Nick Simpson a bottle of water at the Westbrook Strong 5K finish line. Rairdon, who organizes the event in memory of his son, said he tries to tank each and everyone who participates in the event.